Home / Computers/technology / Gadgets / Video: Lg Launches Their Latest Smartphone Series, The Lg Q6 Series! LG has launched their latest series the LG Q6, a handset which has rumoured quite heavily the last couple of weeks. The LG Q6 is a mid-range variant of the LG G6 and is also dubbed as the LG G6 Mini, but it is not the official name. This is the first LG-branded smartphone that belongs to the company's 'Q' series of devices and is basically a smaller version of the LG G6, but the LG Q6 does not come with a glass back, and the device also does not support fingerprint scanner nor a dual camera setup on the back. LG has actually announced three different variants of the LG Q6; the LG Q6, the LG Q6 Plus and the LG Q6a. The difference between these three devices comes down to the RAM and storage counts. The LG Q6 sports 3GB of RAM and 32GB of native storage, the LG Q6a comes with 2GB of RAM and 16GB of storage and the LG Q6 Plus features 4GB of RAM and 64GB of internal storage. All three these LG Q6 devices are fueled by Snapdragon 435 64-bit Octa-core processor along with Adreno 505 GPU of graphics. A 13-megapixel snapper can be found on the back of the LG Q6 and a 5-megapixel wide-angle camera is placed on the front side of the LG Q6. 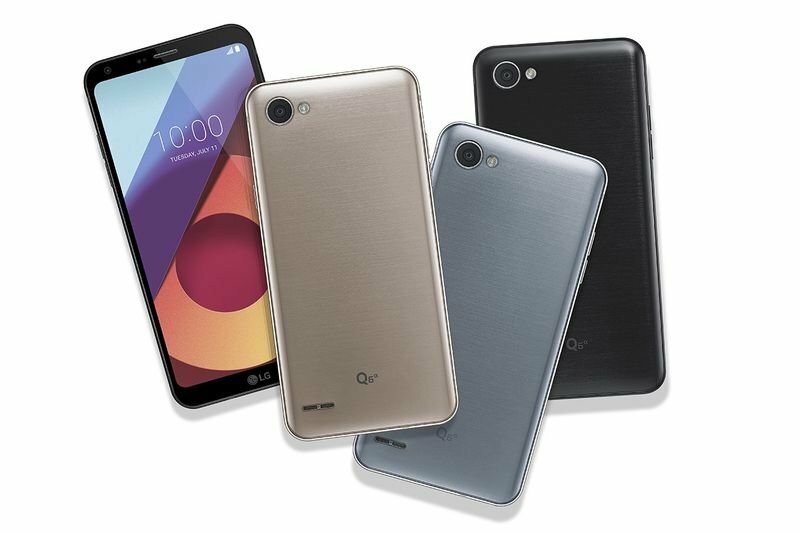 The LG Q6 smartphones support 4G LTE and weigh 149 grammes, the LG Q6 smartphones also looks identical and come in Astro Black, Ice Platinum, Mystic White and Terra Gold, while the LG Q6a also comes in all these colours, except for Mystic White and the LG Q6 Plus will be available in Astor Black, Ice Platinum and Marine Blue. All the LG Q6 smartphones come with face recognition technology and will go on sale in Asia next month, and then roll out to Europe, Latin America and North America. There are no details regarding prices, but LG did say that the specifications of the LG Q6 series may vary from market to market. Check out the video to see what the LG Q6 series smartphones will look like! Video: Camera Maker Red Reveals A Smartphone With 'holographic' Display!